Bet on Ronaldo to Join Juventus at 1/3 with Betfair. Bet on Ronaldo to Join Man United at 14/1 with Ladbrokes. Bet on Ronaldo to Join PSG at 16/1 with Betfair. A recurring theme year in, year out is Cristiano Ronaldo playing with his future and pretending that he’s going to be leaving Real Madrid. The all-time Champions League record goalscorer enjoys playing the ‘Where’s Ronaldo off to?’ game in order to force Madrid into awarding him with a brand new, sparkling contract extension. In late 2016, the Portuguese forward penned a new £365,000 per week contract with Los Blancos, making him the highest paid footballer on the planet at the time. It was a five-year deal which also had a €1 billion release clause inserted into it - just in case Paris Saint-Germain fancied testing the waters, as they keep threatening to. Ronaldo, and the people around him, are the experts of getting what he desires. Whether it’s a different position on the pitch, the players in the team, or a new lucrative contract, it somehow always comes to fruition. However, this summer, and the way matters are being portrayed in the media, it appears different. There’s a slightly different atmosphere around Ronaldo and his future than football betting fans will not have seen before. After his comments directly after the Champions League final, in which he hinted at an exit in the upcoming transfer window, a possibility of Ronaldo genuinely leaving club seemed feasible. Now 33-years-old, Madrid will obviously be weighing up the decision as to whether increase his already enormous contract, or come to the conclusion that the best way to move forward is without the superstar. From Ronaldo’s perspective, and given the amount of goals he is still scoring, he quite rightly thinks that he can carry on at the same level for a numerous amount of years. There is no signs that he is slowing down in producing top quality moments. That is what has changed for Ronaldo since turning 30, though. He is no longer the explosive, tricky winger he once was at both Manchester United and Madrid, but instead, he is a centre forward that relies on moments. Moments that win teams crucial matches and trophies. That’s what he has done in the last three years - won three, consecutive Champions Leagues. He is, quite simply, the best in the world at producing those goals when it matters, something he has proven time and time again. Ronaldo started last season slowly and only really made his way into top gear at the turn of the year. 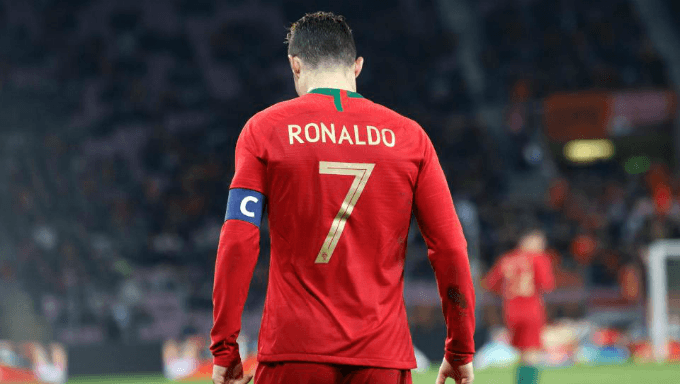 However, even with a blip for the first few months, the Portugal captain ended the campaign with 44 goals and eight assists in 44 appearances. What is perhaps so remarkable about the galactico is his immense consistency. In the last eight seasons, Ronaldo has not scored under 42 goals in all competitions. While he is unlikely to reach the magic 60 number again like he did in 2014/15, the Portuguese superstar lives on making a difference for his club on the biggest stage of all. He proved that while on duty for his country in their opening game of the World Cup against Spain, where he scored an emphatic hat-trick and recorded a very crucial point in the dying minutes with a scorching free kick. It’s fair to say that Ronaldo is superhuman, but the players at Real Madrid are all there to support him and play for him. Zinedine Zidane’s team were set up in a way that would get the very best from Ronaldo and allow him to just solely focus on scoring goals. In a way, Madrid had to restructure certain aspects and players to ensure that they were giving the Portugal forward the best opportunity to find the back of the net. Since Portugal were defeated by Uruguay in the round of 16, the talk of Ronaldo leaving has intensified tenfold. There has been speculation that Juventus have offered €100m to Real Madrid for his services, with Ronaldo supposedly also house hunting in Turin. While some transfer news can be exaggerated like a game of Chinese whispers, this might just have some common sense to it. Juventus need a player who can make a difference in Europe. They have a team littered with world-class footballers, but they seemingly cannot take one step further and win the Champions League. They have fallen short one too many times. While they are not a club who spend a ridiculous amount of money on transfer fees, they might just think enough is enough when there is arguably the greatest ever player available to sign. Outside sponsorship - just like Paris Saint-Germain received when acquiring Neymar - is also a possible venture that can ease the cost of the five-time Ballon d’Or winner for the Italian champions. Ronaldo is currently priced at 1/3 to join Italian champions Juve, while Manchester United are offered at 14/1 and Paris Saint-Germain at 16/1 with Betfair. To stay at Madrid past this transfer window, Paddy Power are giving odds at 11/4. For Madrid, they will be looking at this possible departure without emotion - such is their cold-blooded nature. Ronaldo is 33, egocentric and wants to be paid more than Lionel Messi and now Neymar at PSG. They certainly have the economic firepower to make that happen, but it also appears that they might just be able to sign Kylian Mbappé from the Parisian club to replace Ronaldo, should he leave. Florentino Pérez, Madrid’s president, has always done what is best for his club, no matter the emotional context involved. He will see this as a win for Los Blancos should it come off and it’s easy to see why. Mbappé is having an unbelievable World Cup for a 19-year-old and is the heir to Messi and Ronaldo. If there is even a remote chance of replacing Ronaldo with the Frenchman, Madrid will do so.